Wednesday, June 6, 6:00 – 8 p.m. Hosted by Gowling WLG, 1 Toronto Place, 100 King West Street. Why would the Canadian government absorb asylum seekers from a fellow OECD country that itself accepts none? For over a decade, asylum seekers from African conflict zones have found a fragile haven in Israel, despite the Israeli government’s refusal to review their asylum applications. Last month, Prime Minister Netanyahu announced – then abruptly cancelled – a deal with the UN refugee agency (UNHCR) to absorb some asylum seekers and send others to western countries like Canada. Internationally, Canada’s handling of refugees is often credited as the gold standard. Here at home, reactions tend to be more nuanced. Canada’s treatment of Syrian refugees was met with a high level of approval, but irregular border crossing has sparked criticism that Canada is losing control of its border. Join the New Israel Fund of Canada (NIFC) and the Canadian Association of Refugee Lawyers (CARL) for a fascinating discussion with Israeli and Canadian experts about two allied countries with very different approaches – and perhaps some similarities – to refugee law. The speakers will explore the myths and realities that surround these pressing refugee issues. 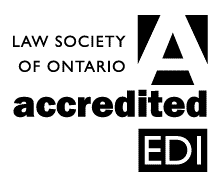 This event is CPD accredited by the Law Society of Ontario for 1 hour substantive content and 1 hour Equity, Diversity and Inclusion (EDI) professionalism content. Licensees of the Law Society of Ontario now have to complete 3 EDI hours by December 31, 2020. EDI hours also count towards the required 3 Professionalism hours each year. Light refreshments will be available.